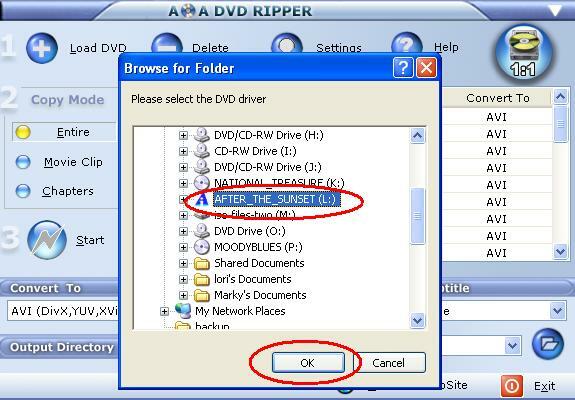 In this guide we will explain how to convert DVD to VCD / MPEG-1 format and burn it to a CD. 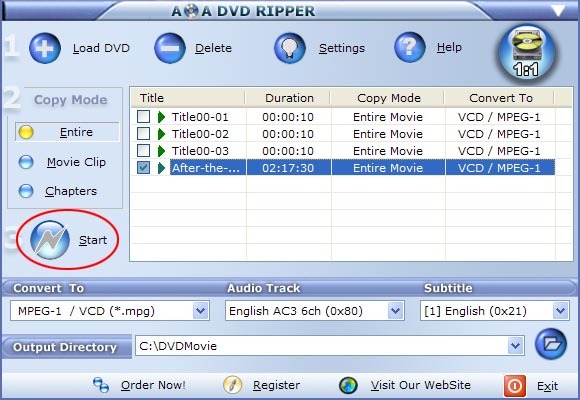 AoA DVD RIPPER provides a fast and easy way to convert your DVD movies or just the parts of the movie that you want. 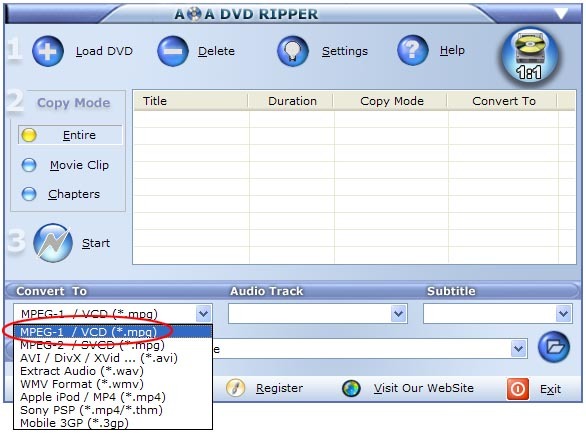 It copies in high quality AVI (DivX, XviD...), WMV (Pocket PC, Zune...), MP4 (iPod, PSP...), 3GP, Flash Video (*.flv), VCD (MPEG-1) and SVCD (MPEG-2) formats. It also extracts audio tracks from DVD movies. Turn OFF your Screen Saver, it will simply slow the conversion down by hours. 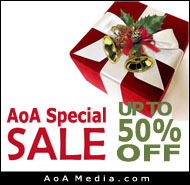 Do not run any other program in the background while AoA DVD Ripper is running, especially if you have a slower computer. Re-boot the computer just BEFORE you start the ripping, in this way you have the best conditions as possible. 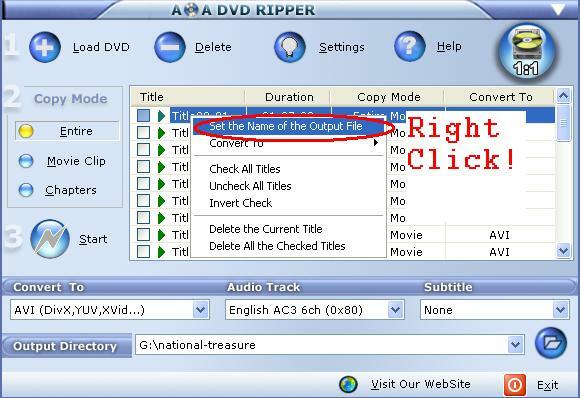 Do not under estimate this step, I find it essential to guarantee a 100% perfect encode. 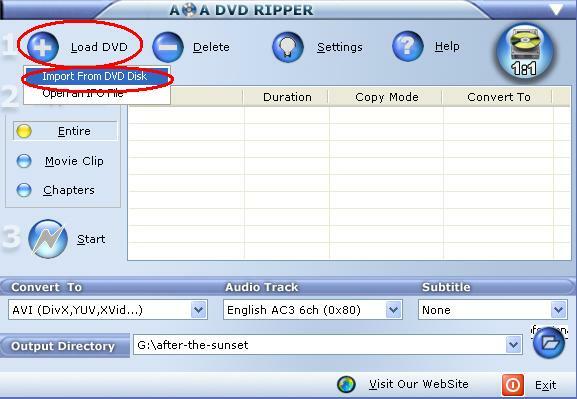 Obtain and install AoA DVD Ripper. 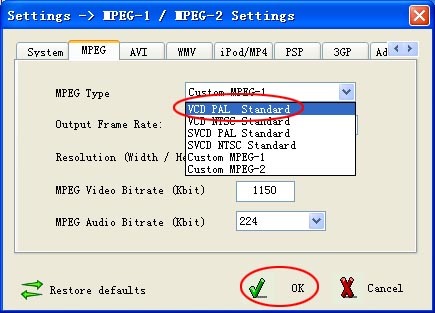 Start the program and select "MPEG-1 / VCD (*.mpg)" from the drop-down list of Convert To. RIGHT-CLICK to change the output name. 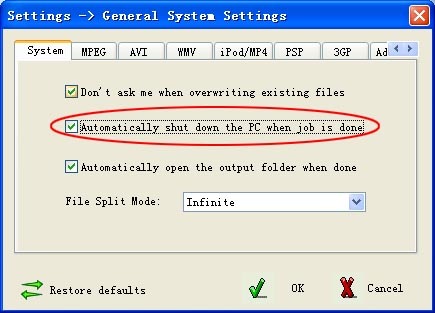 On the System tab, check the option to shutdown your PC when done for these long, overnight jobs. 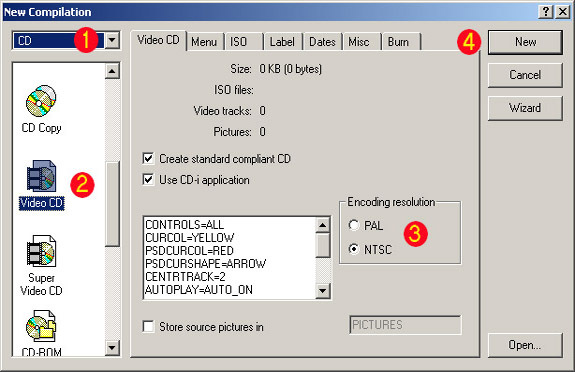 If you want to get standard VCD format for future burning to a CD, select "VCD PAL Standard" or "VCD NTSC Standard" from the drop-down list of "MPEG Type". In this guide, we'll show you how to burn the video to a CD with Nero. If you don't have Nero, click here to get a free CD burner software - VcdWizard. Launch Nero and then click the Wizard button.